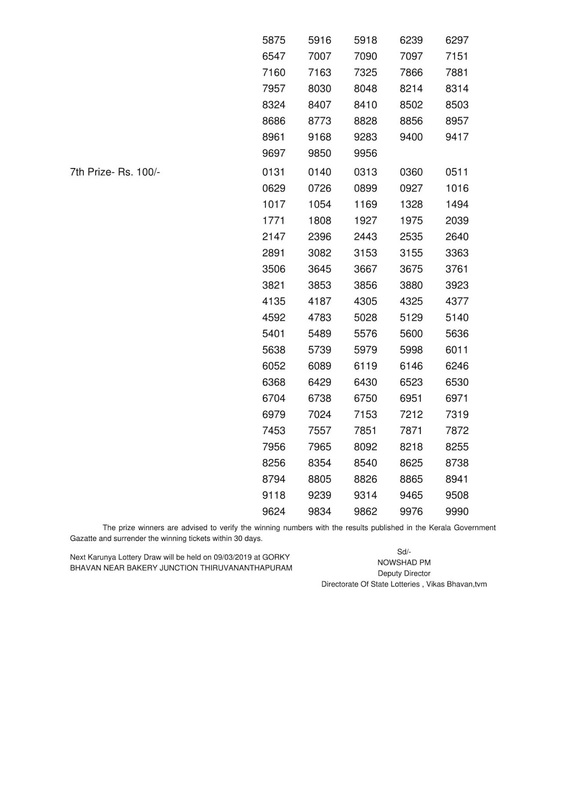 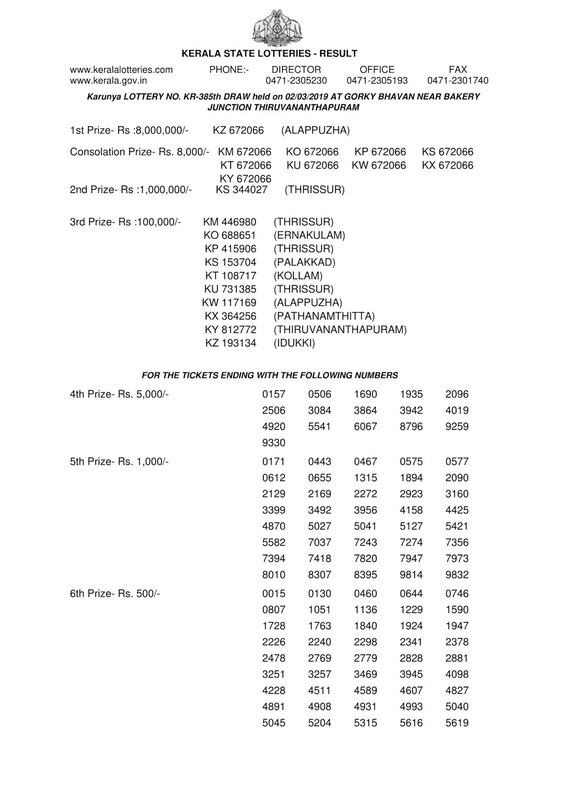 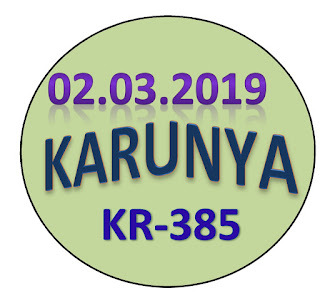 Karunya KR-385 Lottery (every Saturday) on 02 March 2019 lottery is published below. Live result from 3:00 PM and full result by 4:00 PM. 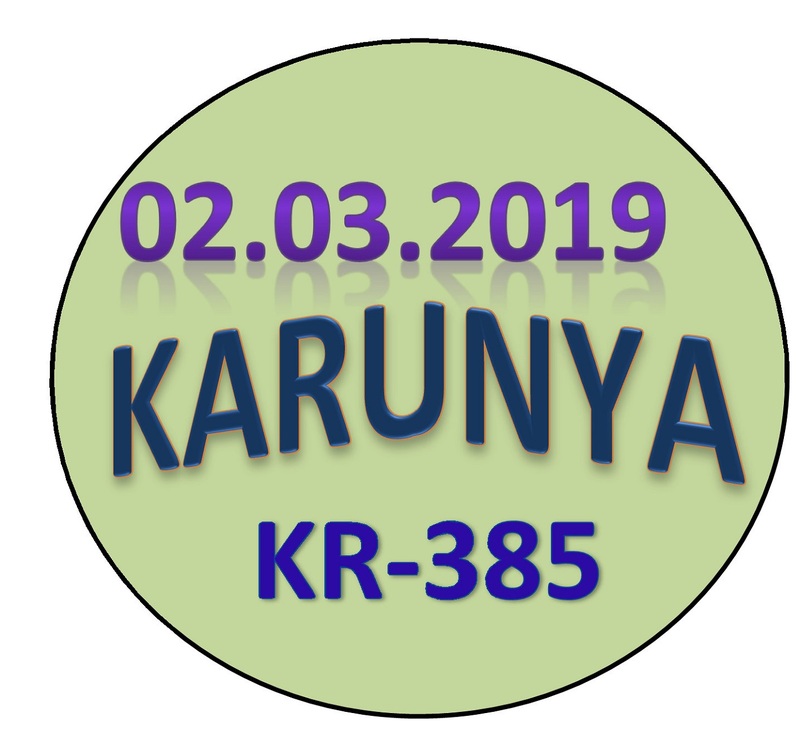 Next "KARUNYA (KR-386)" draw on 09-03-2019 at 3:00 PM. 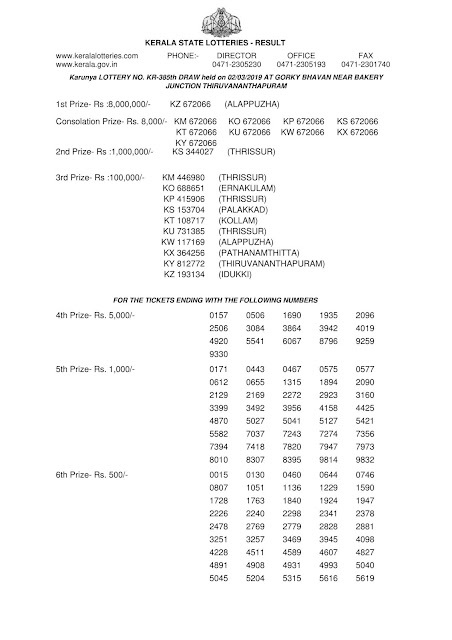 Tomorrow Pournami (RN-381) lottery draw will be held on (03-03-2019) Sunday at live numbers from 3:00 PM and the full official result will be published by 4:00 PM.